A wedding is a great excuse to make stuff. 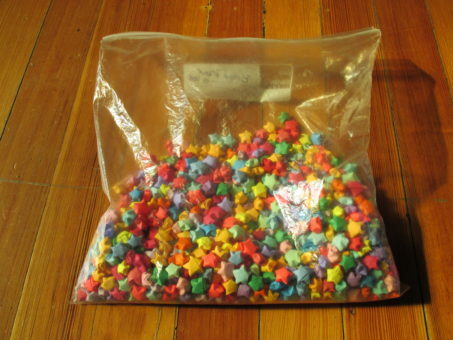 In the case of my recent matrimony there were a lot of hand made things. My wife and I (along with some other helpers) spent the last year making decorations, invitations and other essential wedding materials. It started off with the creation of our “save the date” announcements. 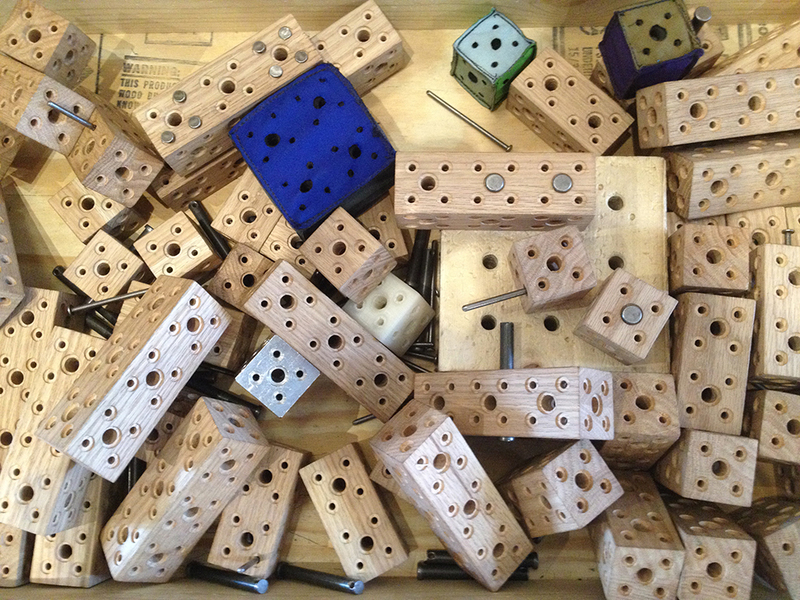 These went through a couple of prototyping stages before we settled on a final product. The prototyping didn’t stop there. An origami theme started to manifest itself in the decorations. 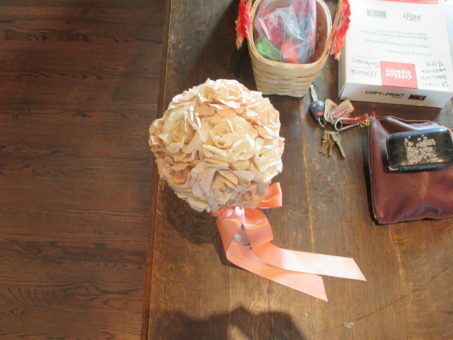 The invitations used origami, the bouquet was made of paper flowers, the boutonnieres were paper flowers as well. I am not the best at folding paper in an artistic manner but there was a lot of prep work that needed to be done as well. 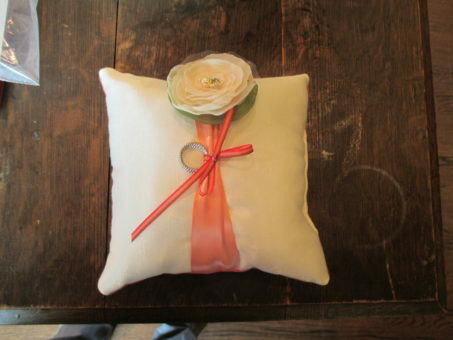 We also spent some time devising and sewing a ring bearer pillow. There was little bit of woodworking done to create our cupcake stands. We made them out of old vinyl records and black blocks of wood (the cupcake stands we bought didn’t work at all). I wanted to add LED lights to a couple of things but that idea was shot down. 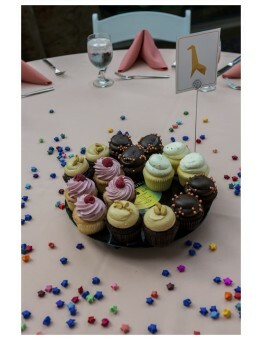 Here is a picture of the vinyl record cupcake stand in use. 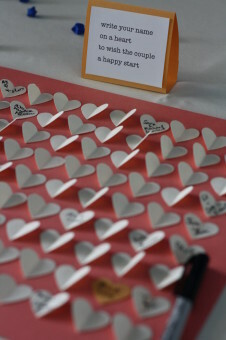 The guest book just required a heart shaped hole punch and a lot of measuring. 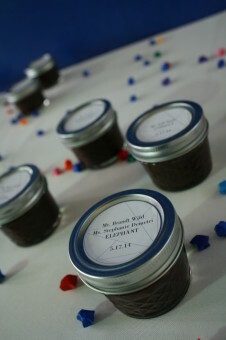 My wife’s sister even went so far as to make her own strawberry jam as the favors for the guests. 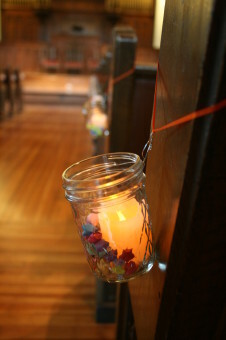 We repurposed some mason jars along with some origami stars and an electric light for the ceremony decoractions. There are lot of wedding products out there that you can buy, but it was a lot more fun and lot more rewarding to make original creations. We were able to reuse a lot of materials for the decorations. You can make your special day even more special by putting in a little (or a lot) of effort to create something out of nothing.